As work on new literacy standards is taken up in schools across the country, it’s important that educators, parents, policymakers, and other key decision makers get a clear picture of what this means for teaching and learning in every discipline. 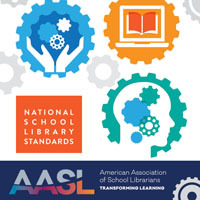 That’s why AASL is supporting the National Center for Literacy Education (NCLE) by inviting our members to complete this questionnaire about how educators are learning and working together to implement new college and career-ready standards for literacy. Survey results will be reported in the aggregate, so your personal responses cannot be traced to you— please answer candidly. In return for your time and thoughtful answers, you can elect to have your name entered into a drawing for a $500 Amazon gift card. 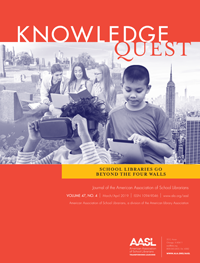 School librarians participating in previous NCLE surveys helped create important reports and resources. Results of the 2013 survey were compiled into the report Remodeling Literacy Learning: Making Room for What Works and translated into the Working Together Is Working Smarter infographic. Results of the 2014 survey created the report Remodeling Literacy Learning Together: Paths to Standards Implementation. 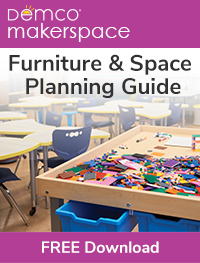 Please try to complete the 20-minute questionnaire by Friday, May 22 and please encourage your school librarian colleagues to participate by sharing the link with them. Watch for a report on collaborative learning and literacy standards implementation in the fall. Thank you for taking part in this important project!